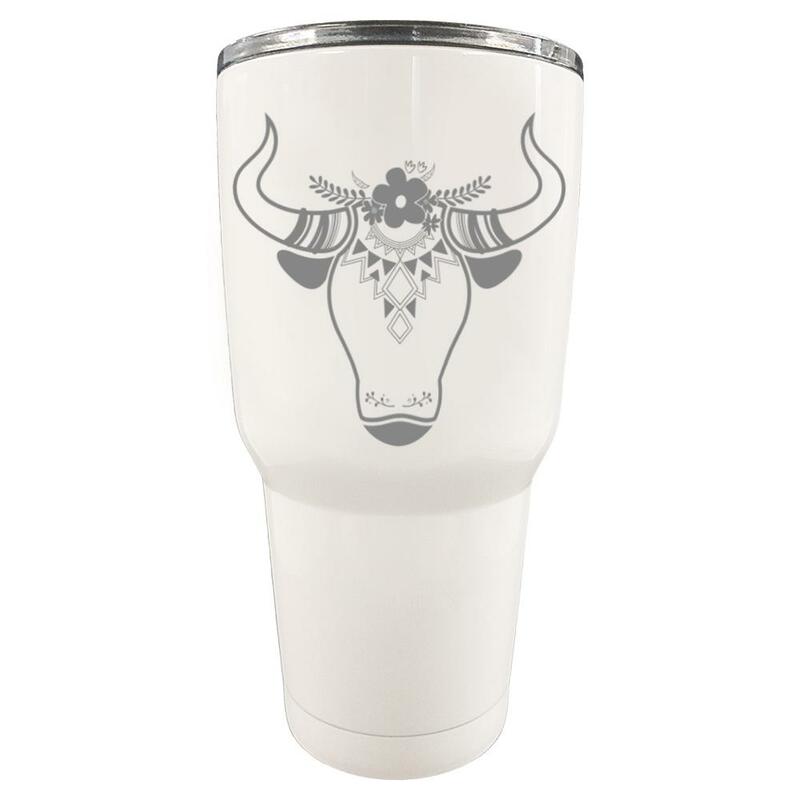 This sassy Longhorn Skull is etched right in to these 30 ounce double wall stainless steel vacuum insulated tumblers! Hold your drink's hot or cold temperature for hours wherever you go. Hand wash only.